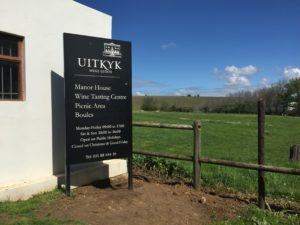 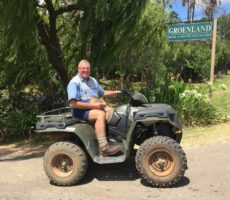 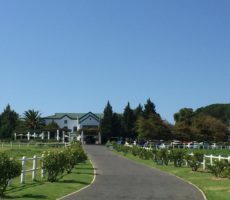 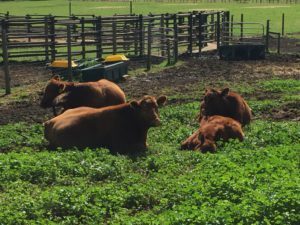 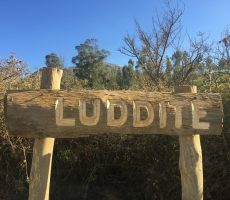 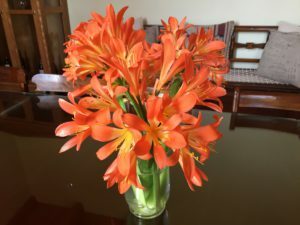 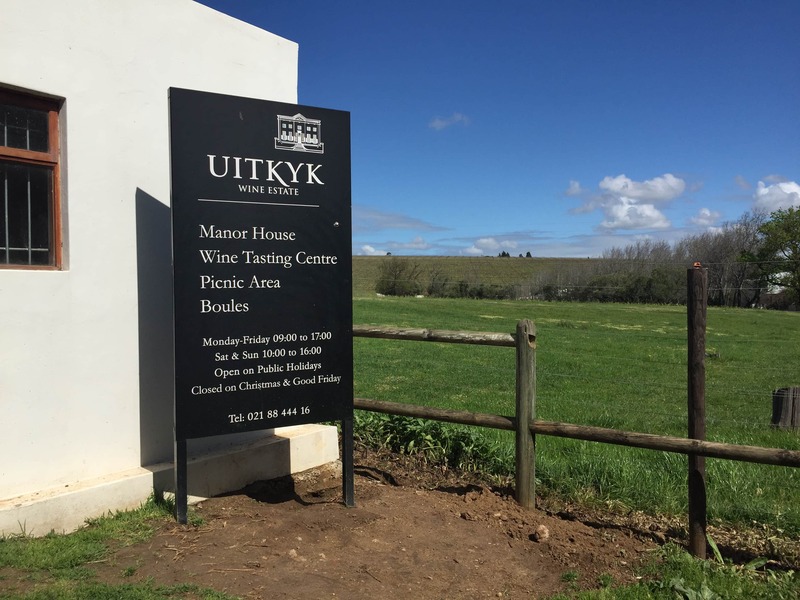 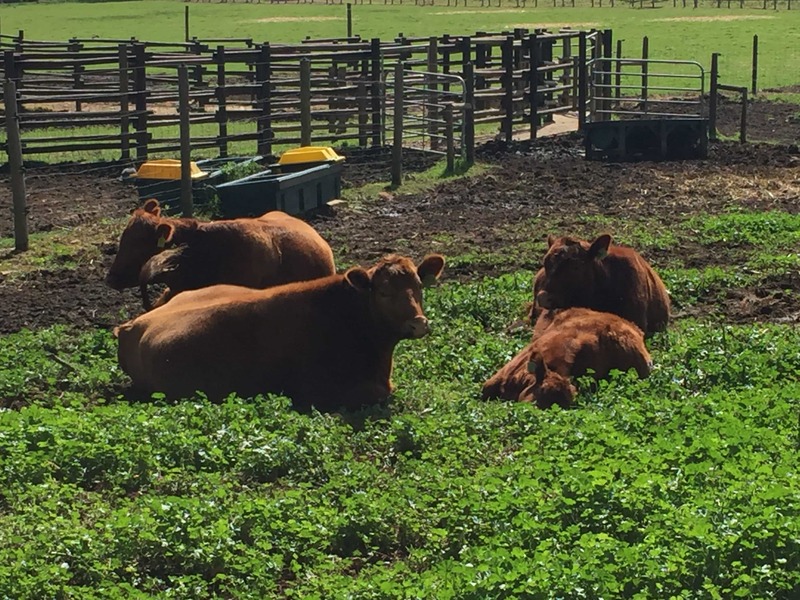 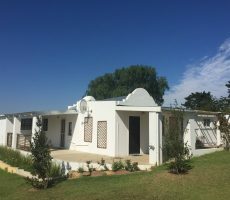 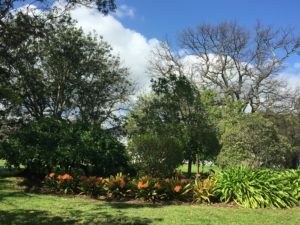 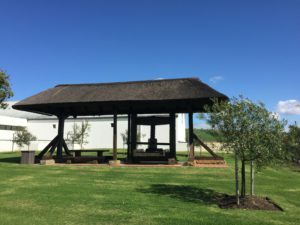 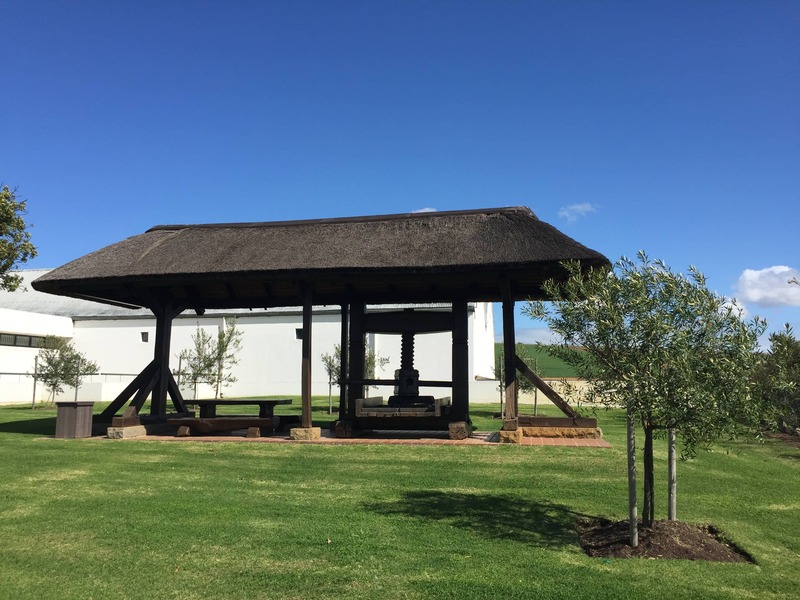 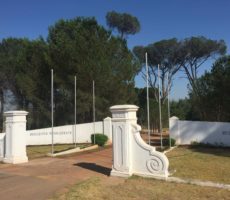 Nature welcomed me at Uitkyk: balmy spring sunshine, cattle resting in their enclosure, birds singing their joys, pretty garden flowers in all colours, and the sound of running water. What a glorious welcome! 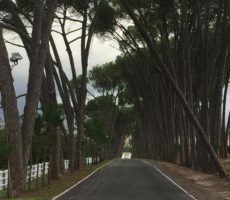 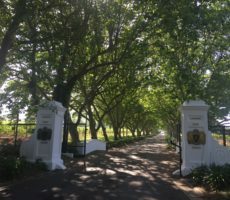 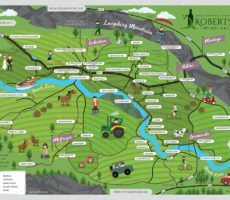 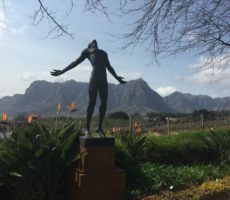 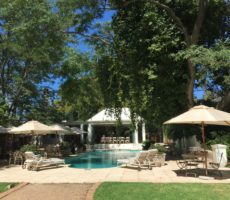 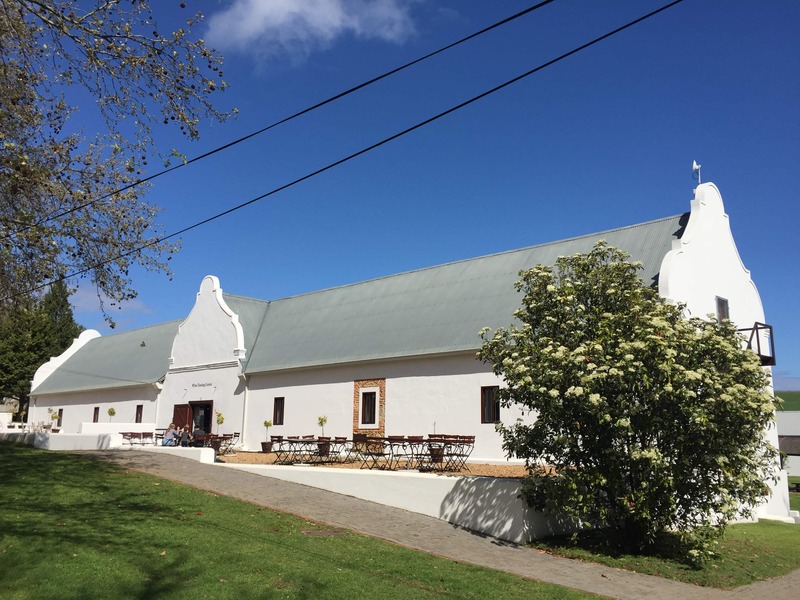 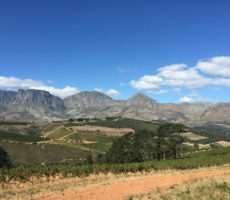 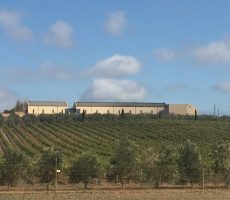 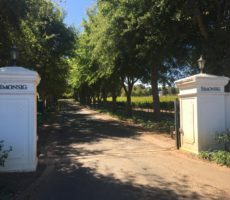 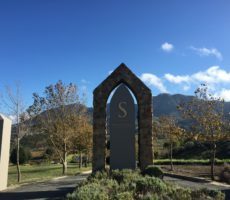 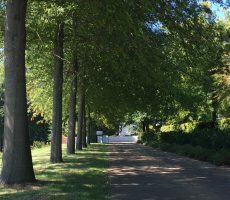 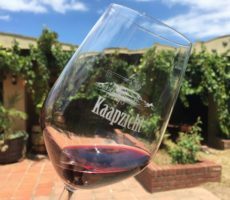 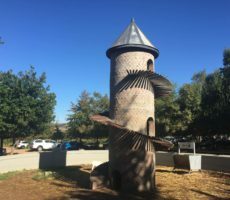 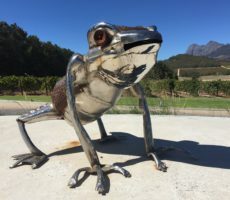 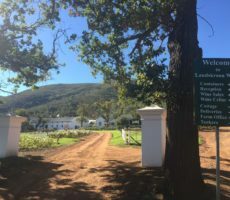 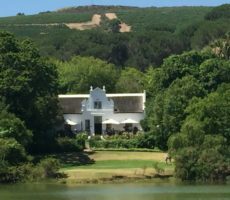 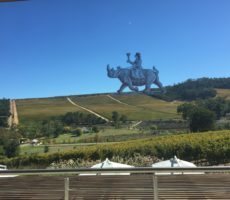 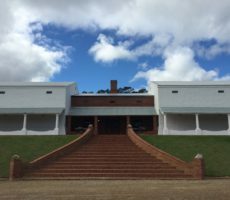 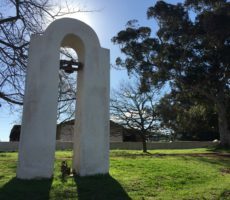 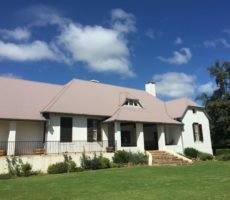 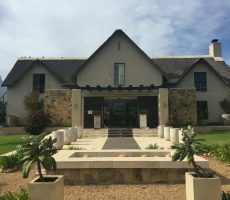 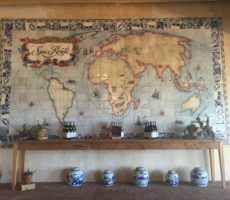 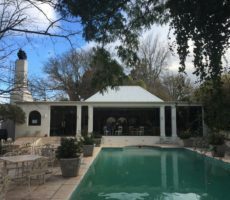 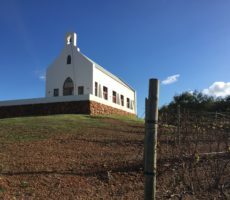 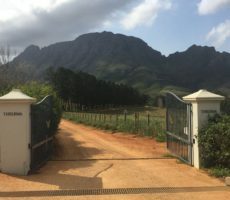 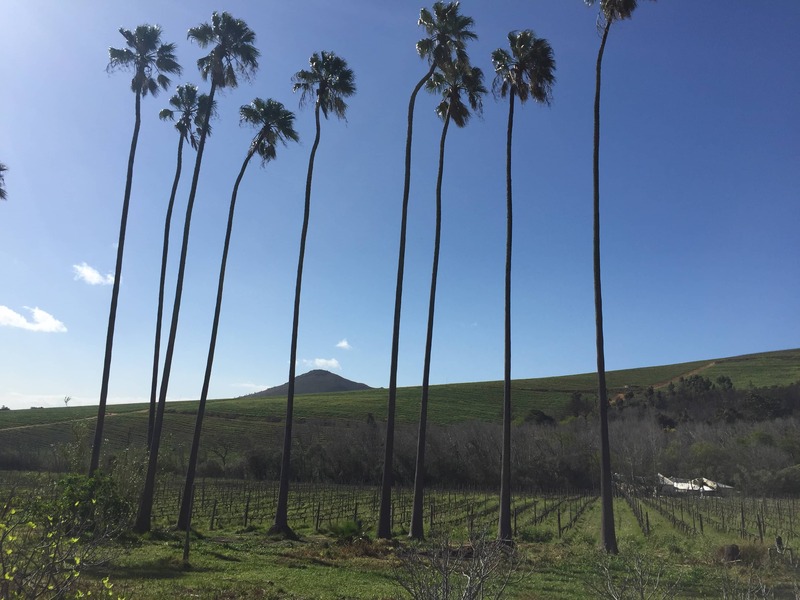 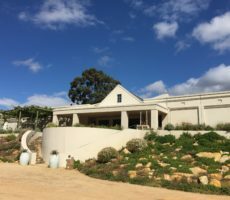 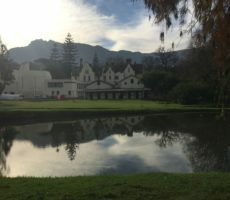 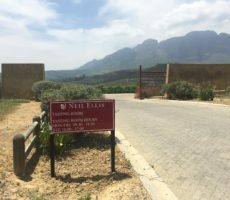 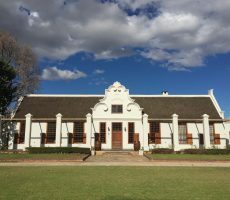 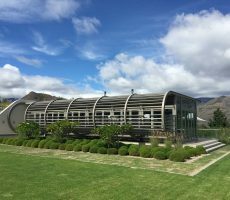 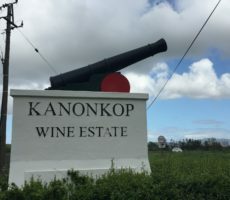 The estate is next to Kanonkop, to the North of Stellenbosch, and so it makes sense to visit both together. 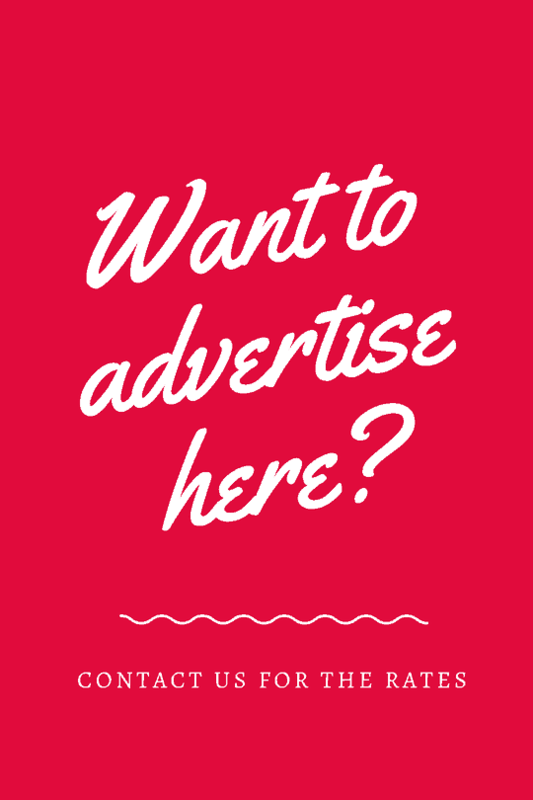 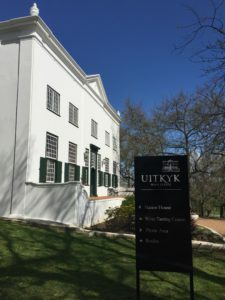 Uitkyk means ‘lookout’ or ‘prospect’. 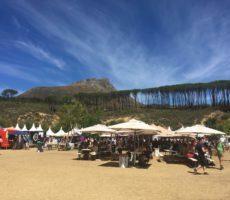 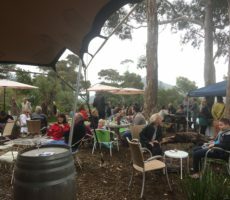 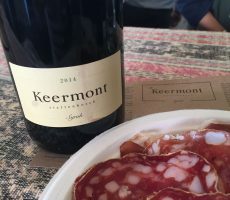 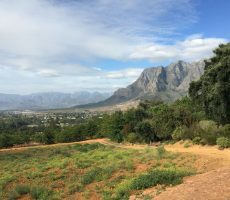 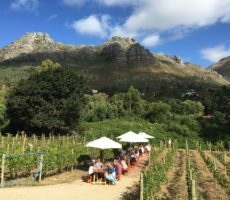 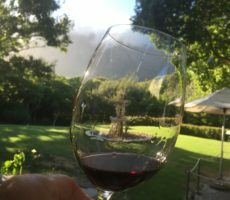 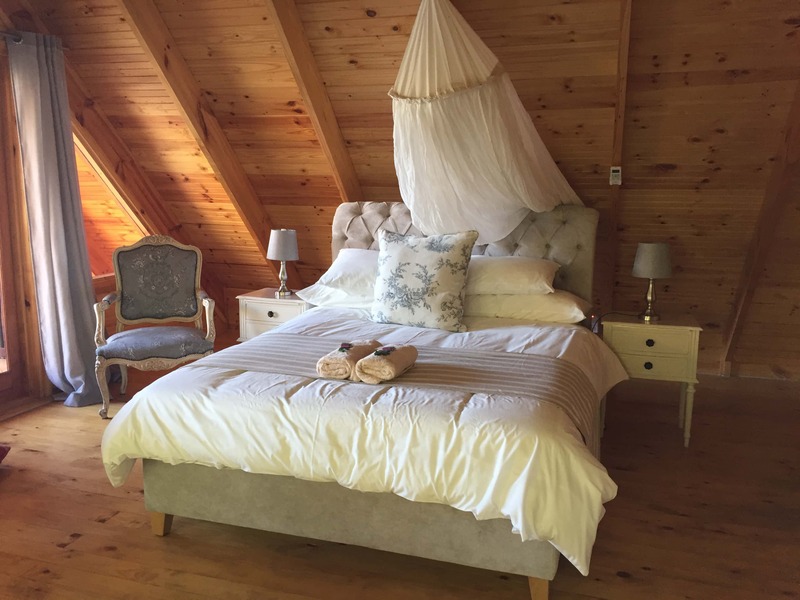 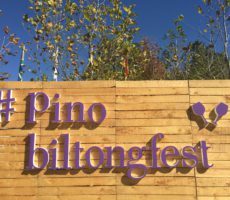 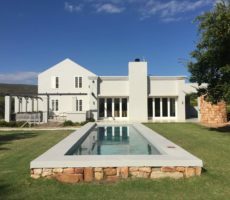 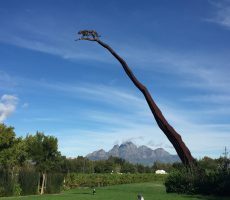 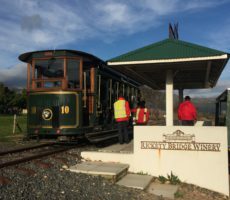 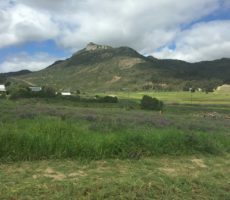 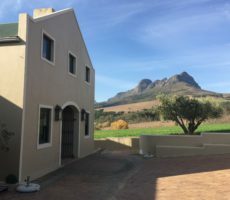 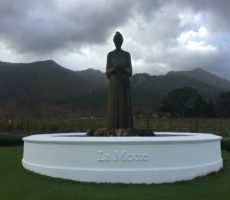 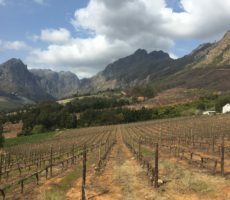 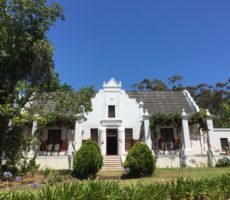 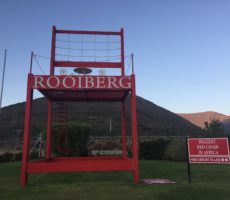 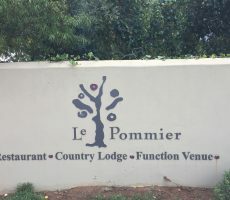 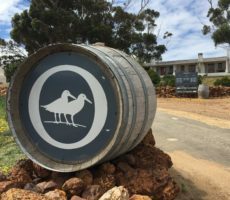 The name refers to the views from the South-Western slopes of the Simonsberg Mountain to False Bay, the Cape Peninsula and Table Mountain. 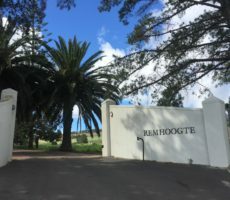 The most striking view, however, on my arrival was the magnificent neo-classical Manor House built in the Georgian style. 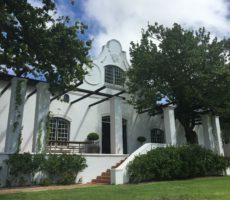 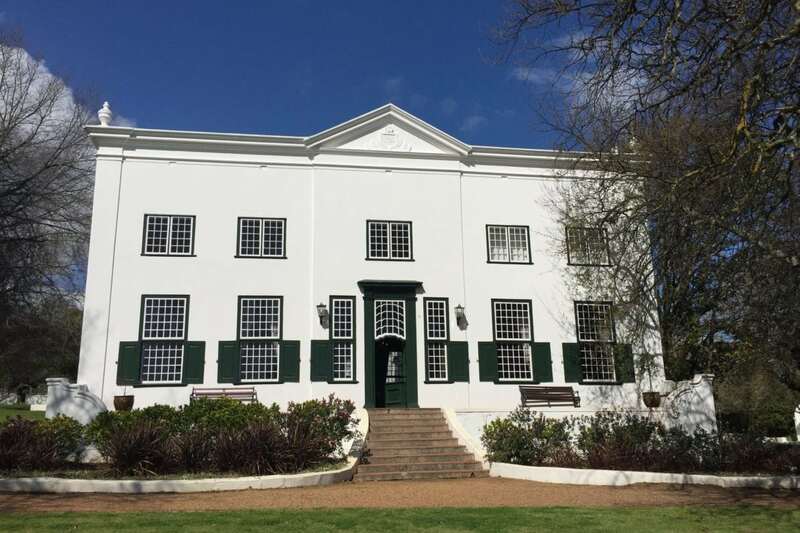 Built in 1788, the double-story house is 1 of only 3 surviving flat-roofed 18th Century houses in the Cape. 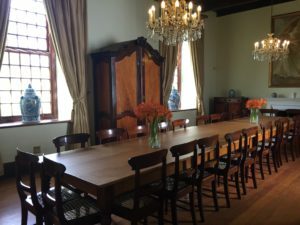 The interior has been beautifully restored, a project completed in 1998. Notable are the ancient murals on the hallway walls that took 3 years to uncover from 15 layers of paint. 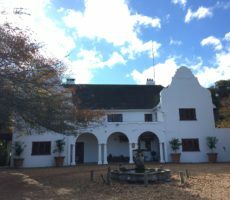 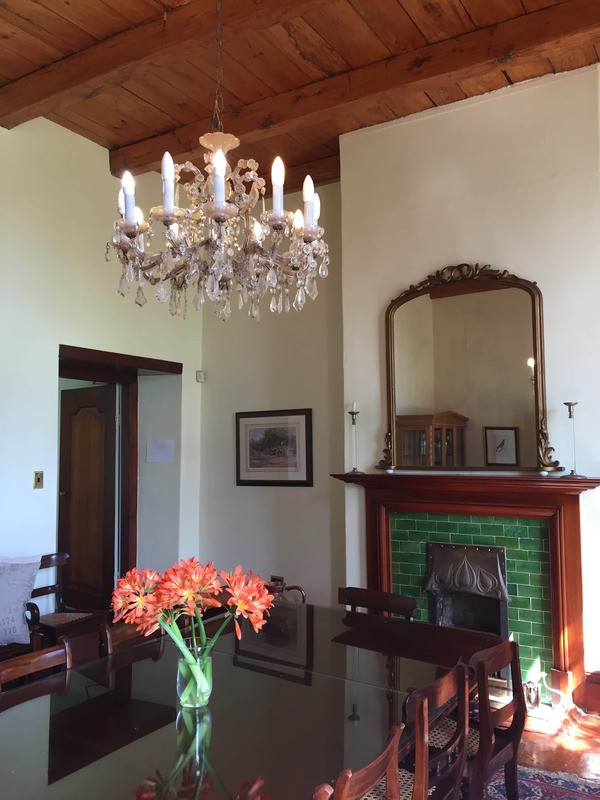 The Manor House and its interior alone are worth visiting even if you have not the time for wine-tasting. I had expected for some reason the Tasting Room to be in the Manor House. 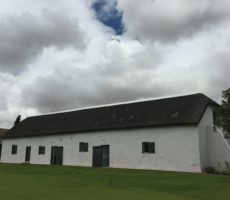 Instead, the modern centre was located in the old wine cellar. 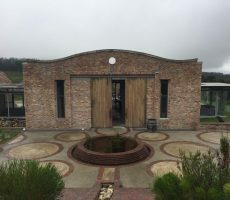 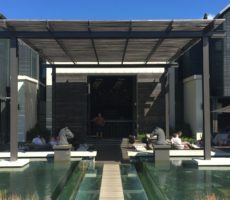 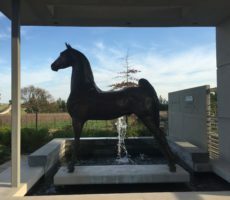 Running water filled a trough at the entrance and would, but for spare parts, have been flowing also through a water feature along the length of the Tasting Room. 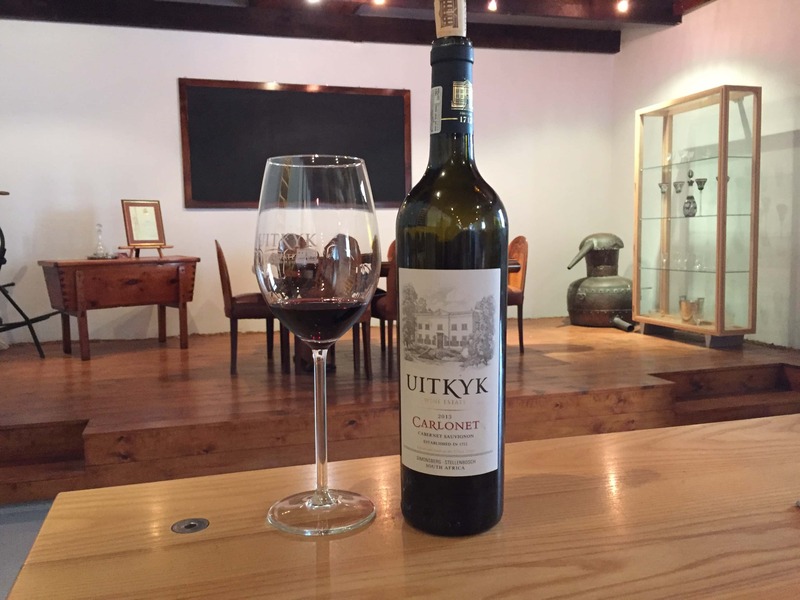 The contemporary interior was well lit to show off the Uitkyk wines (5 wines for R35). 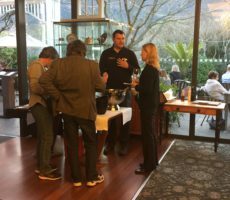 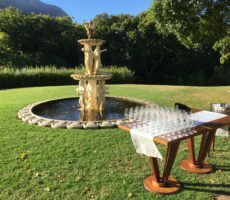 Each tasting station was set with 2 elegant full-size glasses, a tasting sheet and breadsticks. 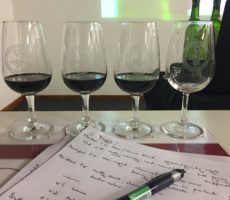 Rudolf assisted me with the tasting. 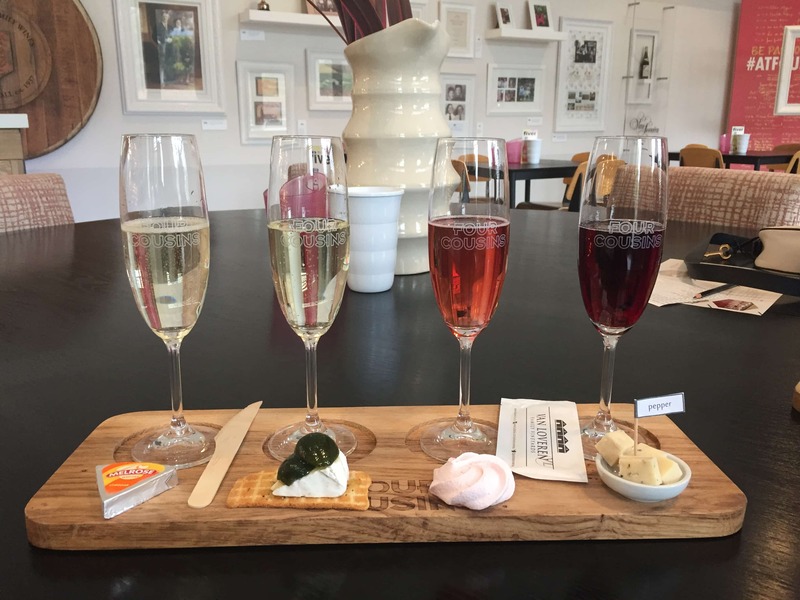 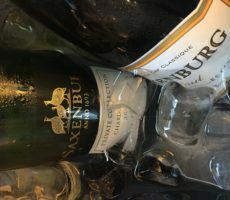 I needed no assistance with my first choice of wine: the Extra Brut MCC. 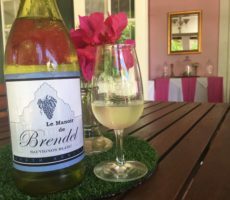 Bone dry and made in the French style, the beautiful labelled bottle was as elegant as the tulip glass it was served in. 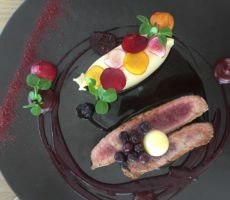 The flavours and texture were better still. 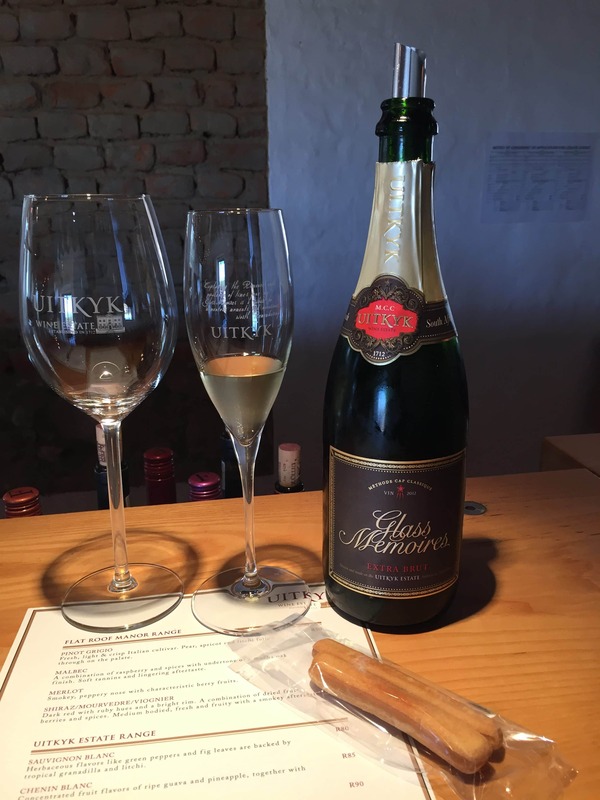 A fine line of small bubbles rose in the glass with delicious aromas of baked apple, sultana, and sweet lemon. 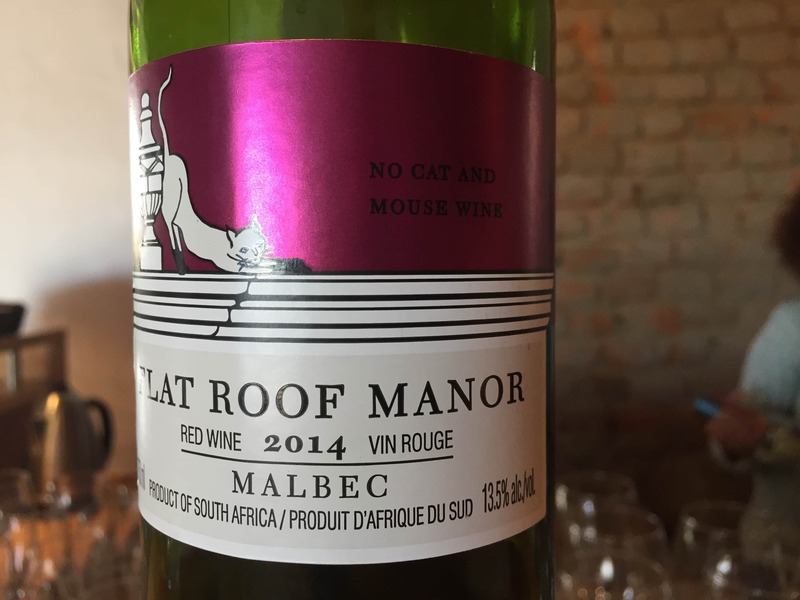 It did not taste as dry as I had expected from the warm flavours and showed a liveliness and balance that demanded more. 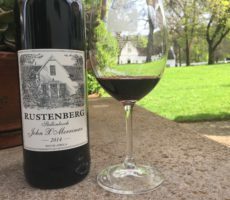 I could have drunk the entire bottle there and then! 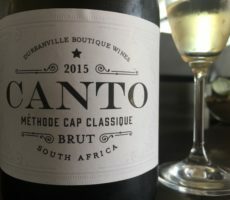 I bought a bottle for later, my favourite wine of the tasting. 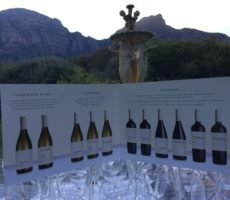 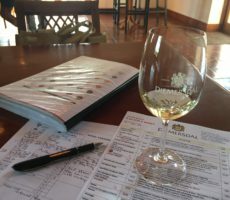 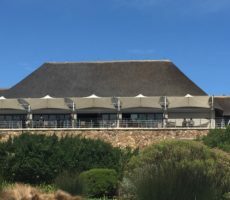 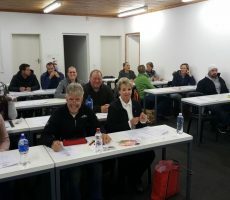 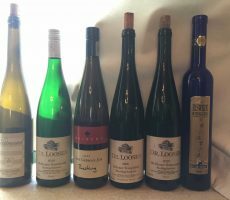 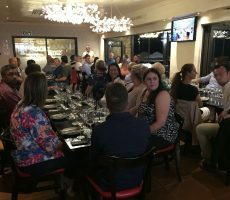 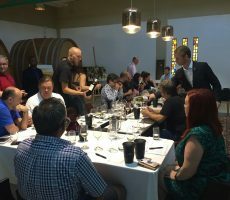 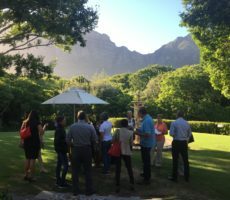 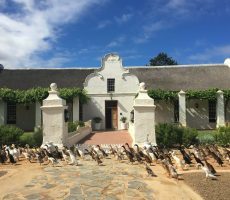 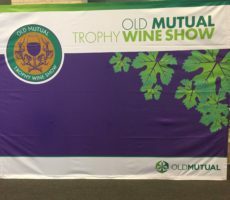 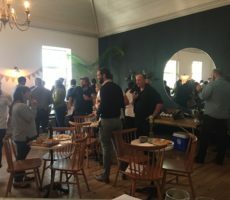 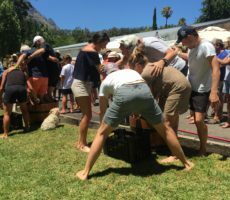 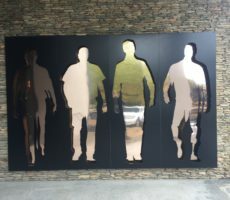 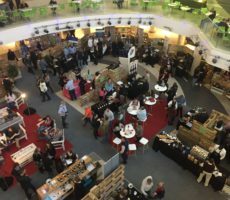 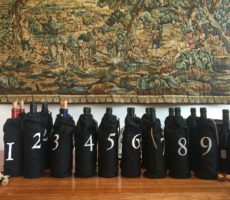 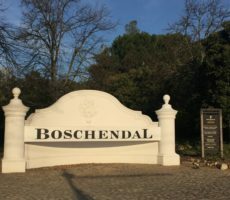 I had recent experience of ‘blind’ tasting with prospective Cape Wine Masters where we sought to identify the cultivars in an especially testing flight of white wines from different countries. 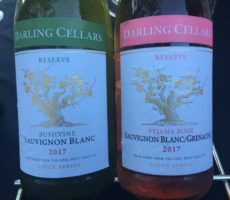 Awkwardly, they chose to reveal little of their herbaceous, fruity or floral flavours. 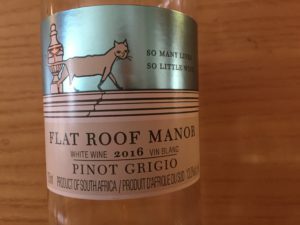 I chose therefore to taste together the Flat Roof Manor Pinot Grigio and the Estate Sauvignon Blanc. 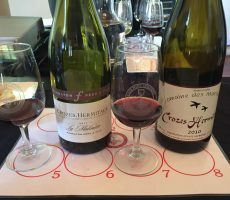 The 2 wines are not too dissimilar in character. 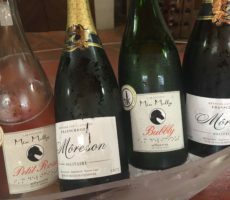 They show like colour, body, mouthfeel, sweetness (dry) and alcohol content. Sauvignon Blanc has higher acidity and usually more intensity of flavour. 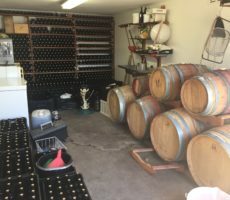 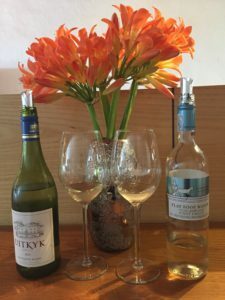 Pinot Grigio is growing in popularity and I can understand why. 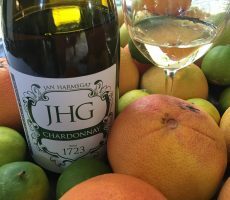 With medium acidity, the aromas were forwards and of tropical fruit salad with guava and pear. 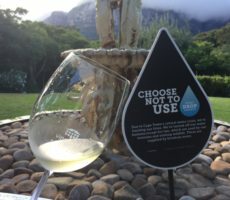 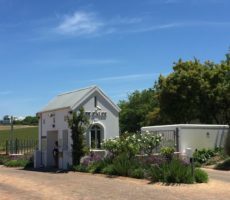 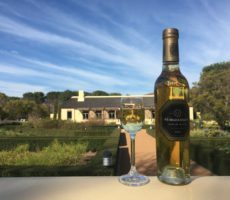 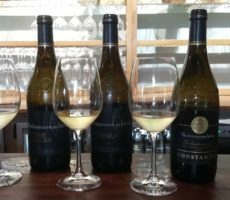 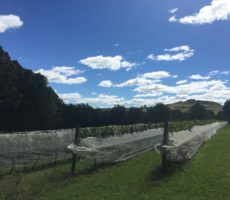 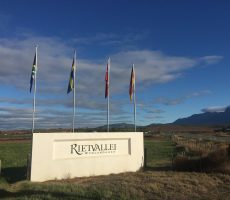 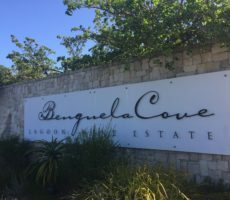 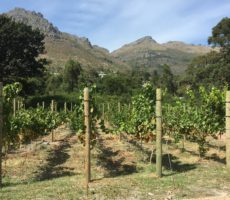 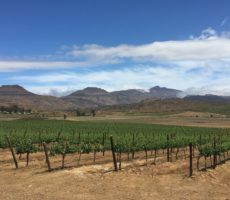 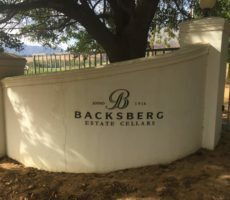 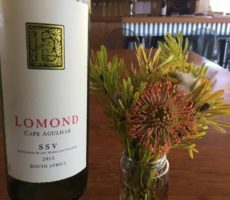 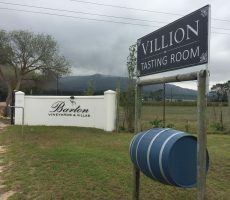 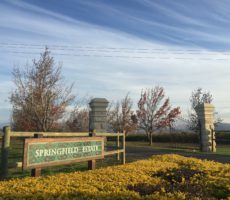 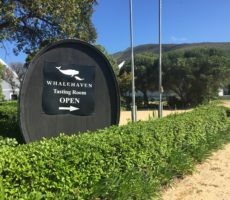 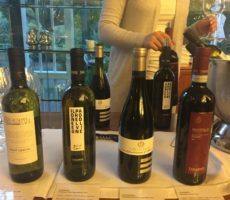 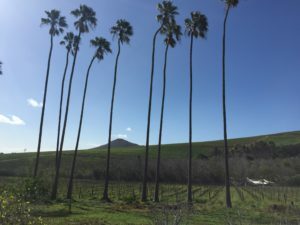 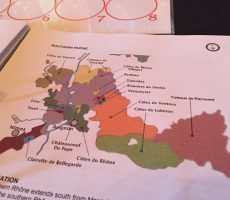 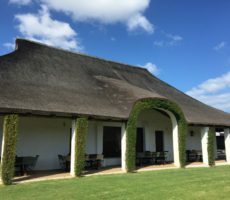 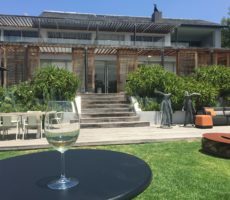 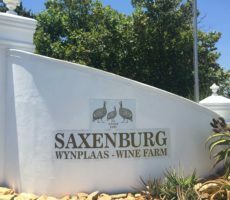 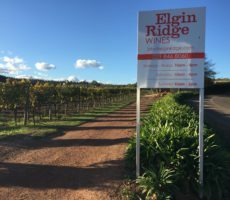 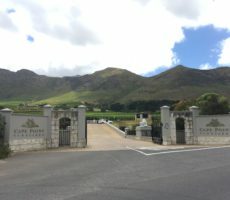 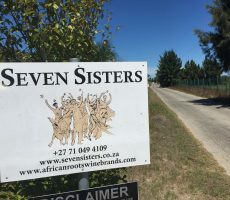 In comparison, the Sauvignon Blanc showed sharper acidity and bright grassy, green pepper and guava flavours, which developed greater herbaceousness on the palate. 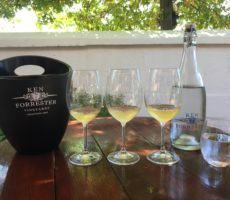 I chose the lightly wooded Estate Chenin Blanc (10 months in 3rd fill oak) after for extra comparison. 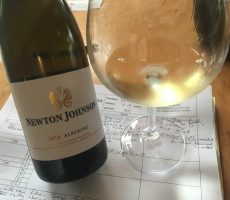 Ripe, complex fruity apple, pineapple, mango and honey flavours were a delight. 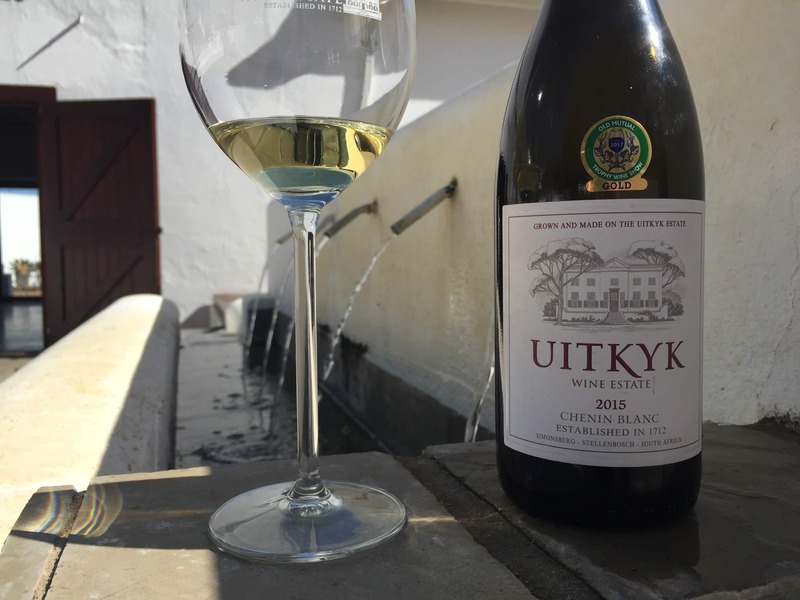 I liked too the creamy mouthfeel that held onto the flavours for a positive finish. 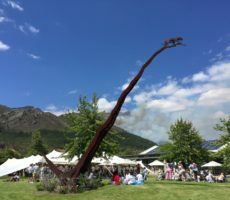 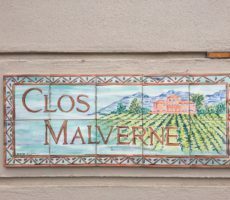 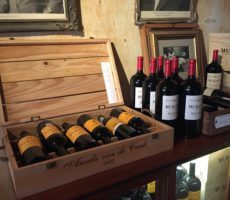 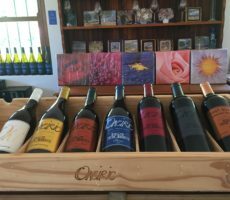 Malbec is mostly grown in Argentina, commonly used as a minority variety in Bordeaux blends, and rarely made into a single cultivar wine in South Africa. 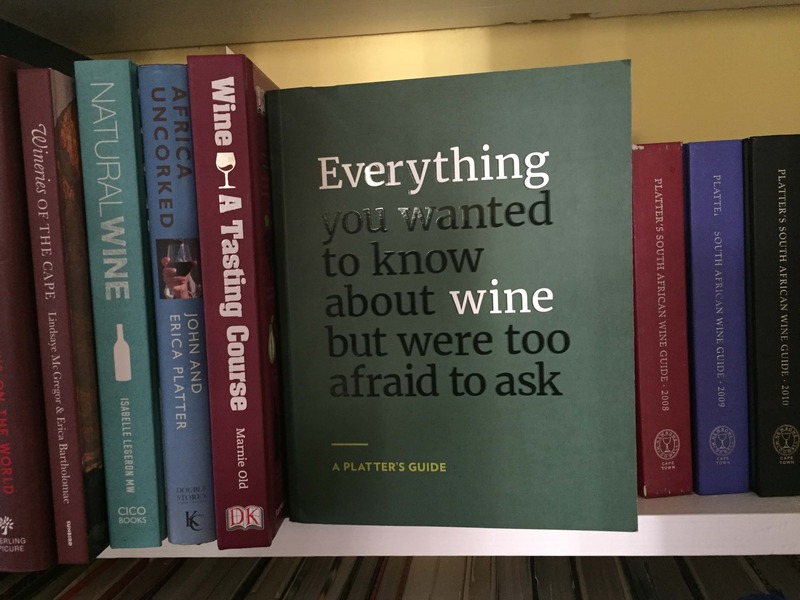 I could not resist. 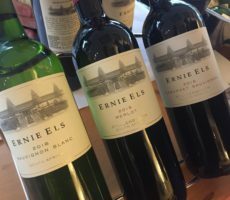 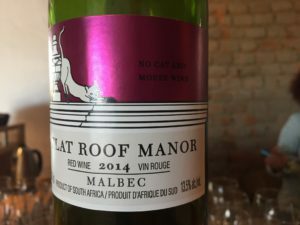 The wine was lighter in body and colour than I expected but full of vibrant fruit flavours – raspberry, cranberry, white pepper spice, earthy – and intensity. 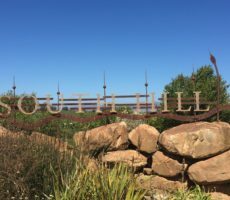 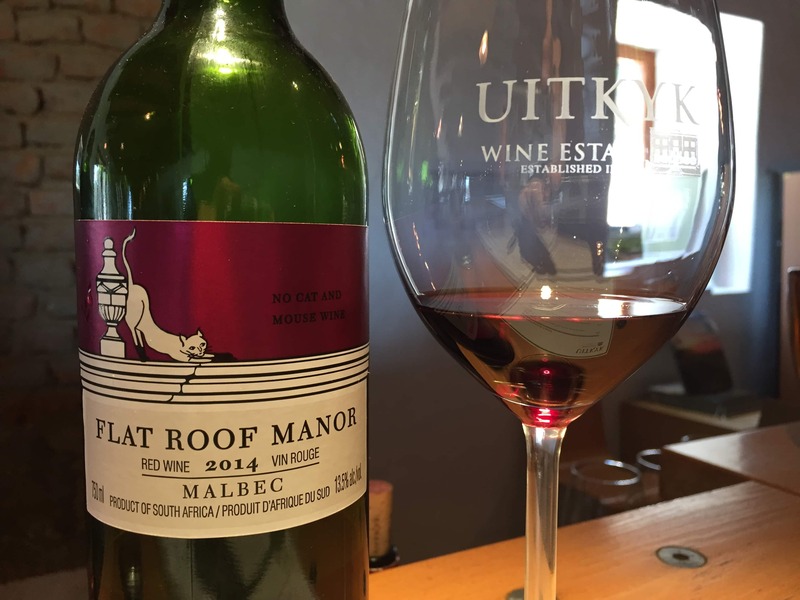 Soft tannins, moderate acidity and a lingering finish made for another excellent wine. 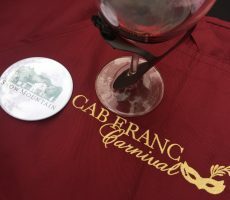 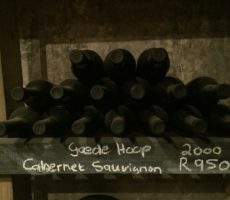 The flagship Cabernet Sauvignon is called Carlonet, named from a combination of ‘Carlo’, from the 1929 owner and Prussian émigré Hans von Carlowitz, and ‘net’, from Cabernet. 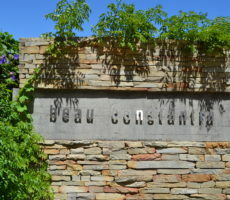 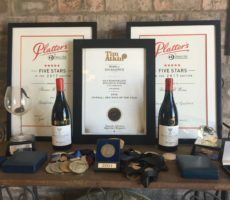 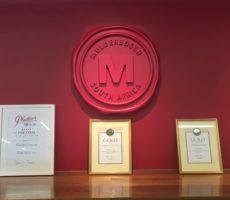 The award-winning wine has been produced for almost 6 decades. 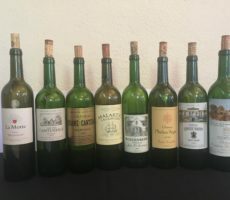 The wine was strangely restrained on the nose, so much so that I unusually asked for a second pouring even though the first bottle had been open for 2 days only. 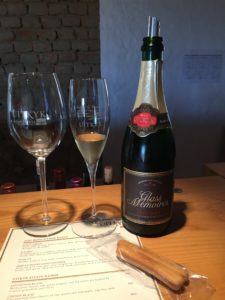 It was the same in the second glass. 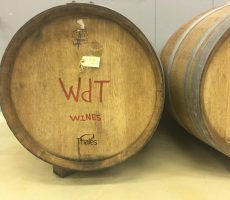 The ‘flat’ aromas were from dried rather than ripe or juicy fruits – cranberry, mulberry and prunes – to make a wine in lighter style and with slightly bitter tannins. 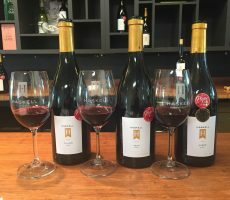 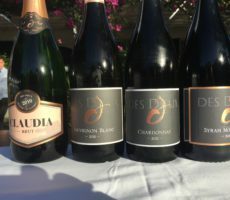 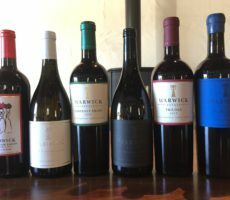 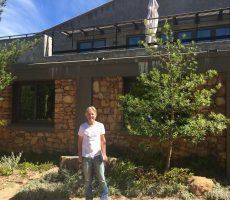 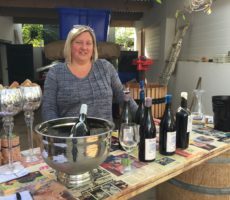 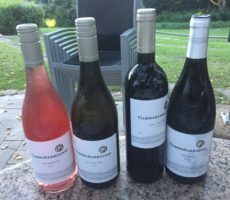 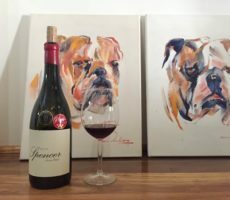 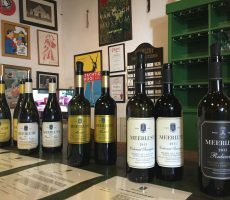 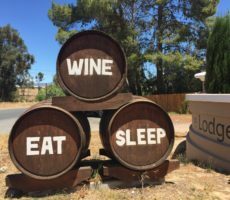 Uitkyk showed that decent wines need not be expensive. 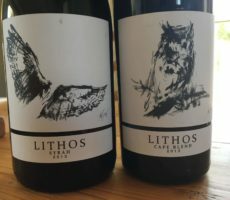 The wines were pleasantly presented and with attractive label designs. 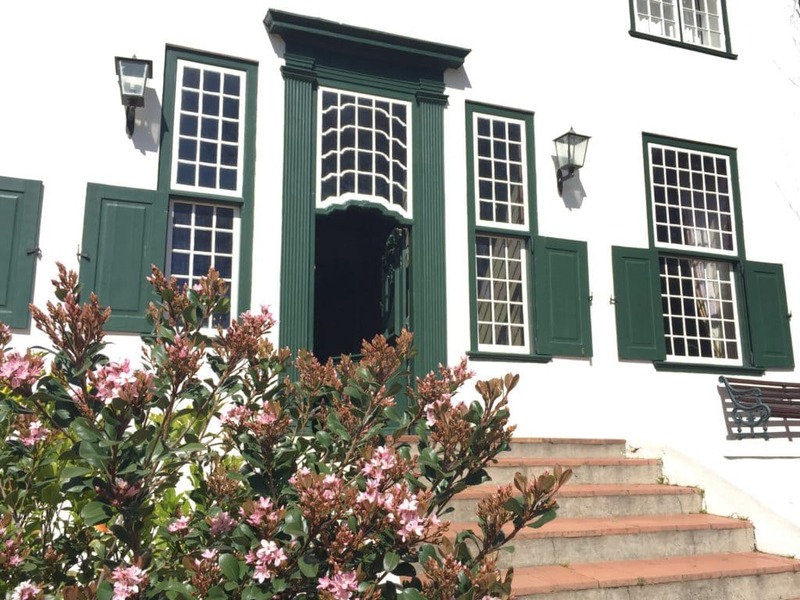 Legend has it that a cat resides in the Manor House. 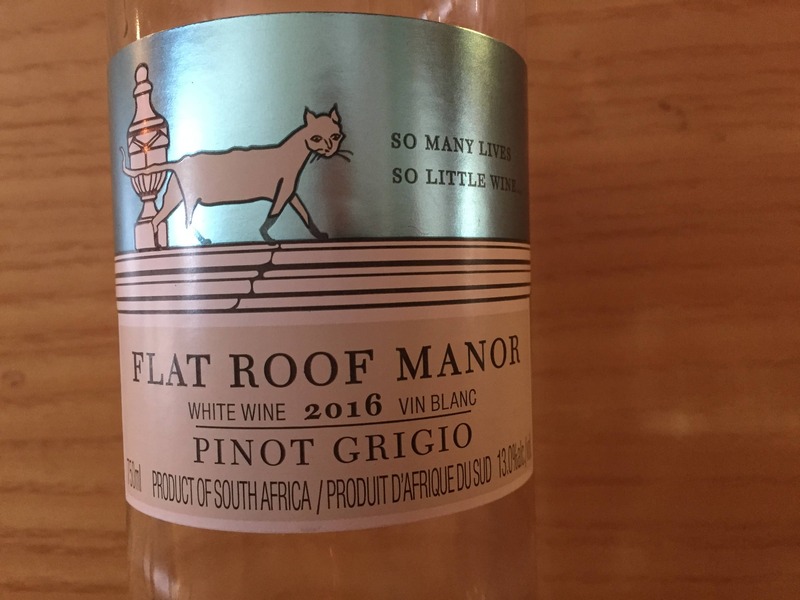 Each cutaway label for wines in the Flat Roof Manor Range has an individual cat phrase: ‘so many lives so little wine …’ on the Pinot Grigio, ‘no cat and mouse wine’ on the Malbec, for example. 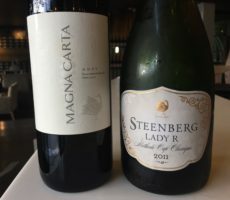 The MCC and Pinot Grigio, at R150 and R50 respectively, were exceptional value for money and I bought a bottle of each. After, I wished that I had bought a bottle of the Malbec too. 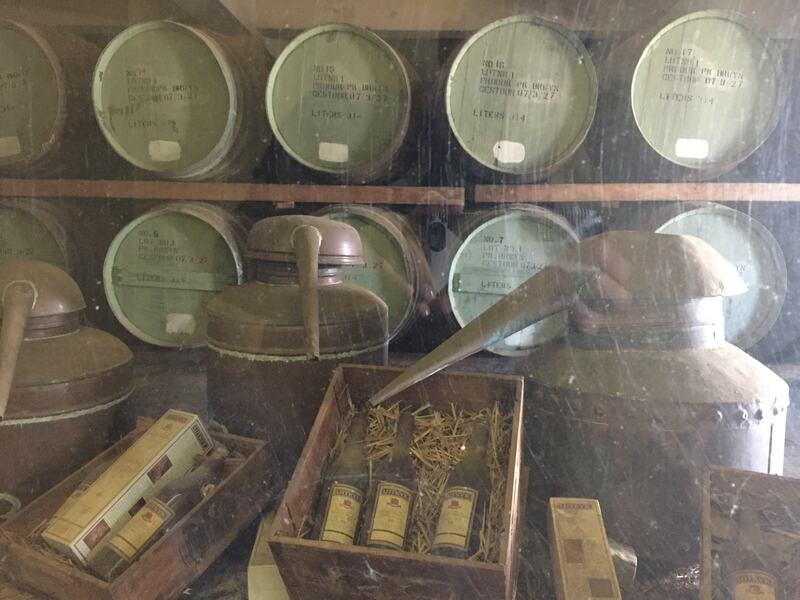 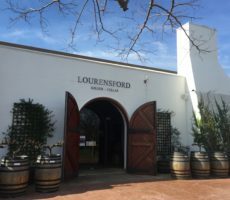 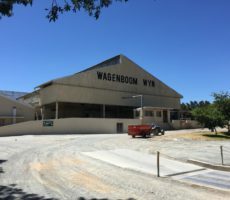 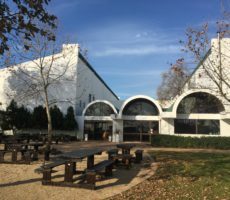 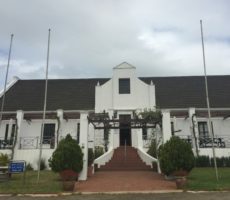 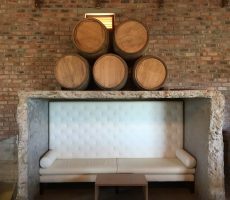 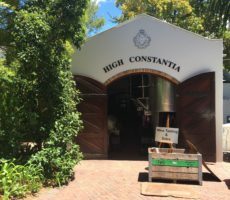 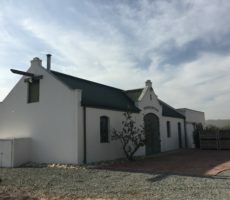 I did not taste the Estate Potstill Brandy (10 years) that is one of the oldest in South Africa but did see the original cellar in which it was made. 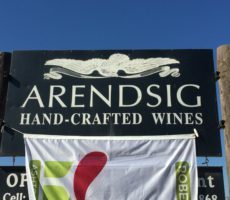 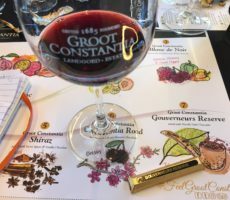 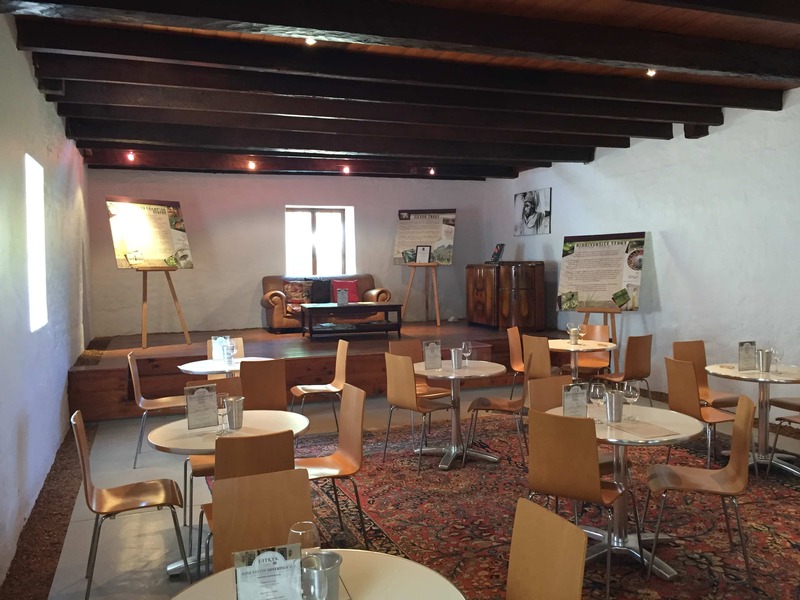 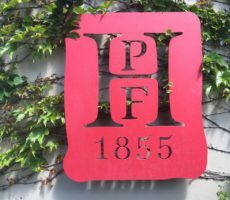 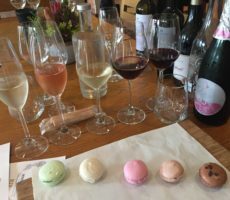 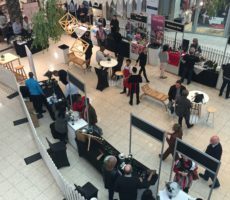 I shall have to return for the Brandy and Chocolate tasting (R30) that includes handmade Huguenot chocolates from Franschhoek. 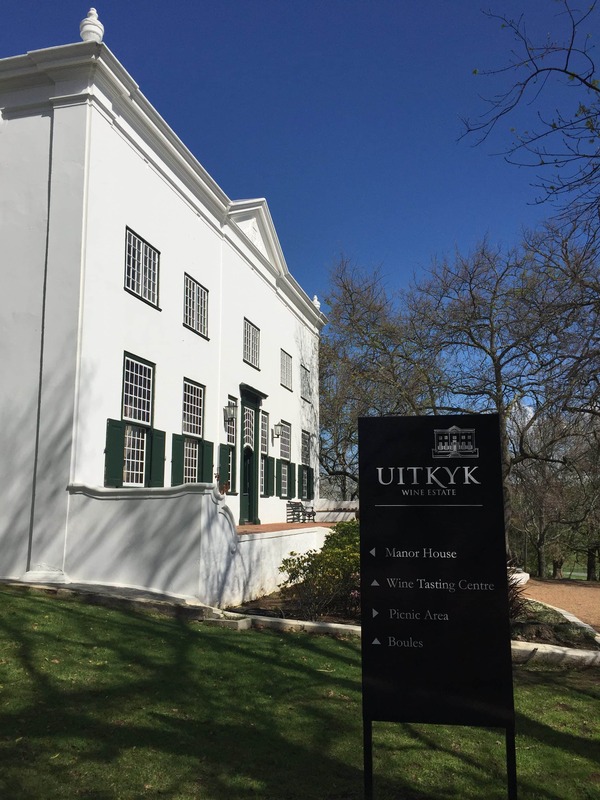 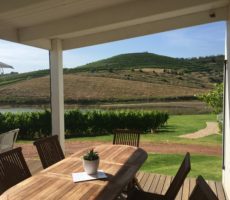 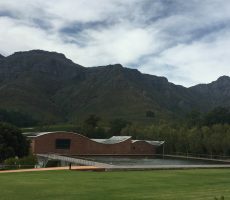 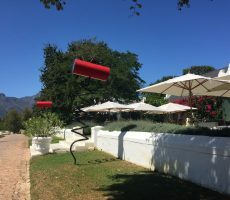 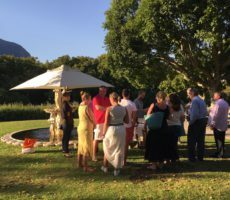 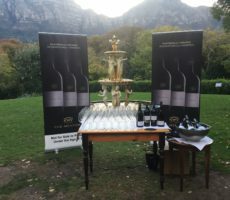 Uitkyk with its natural beauty, sounds and magnificent setting showed that with ‘authentic tradition’ water can truly be made into wonderful wine.